Next post: Photo of the day: What did the big bag say to the little bag? Be-atch, stop sitting on me! Opening its doors on March 11, 1901, The Moana, (meaning “broad expanse of ocean”), was the vision of Walter Chamberlain Peacock. 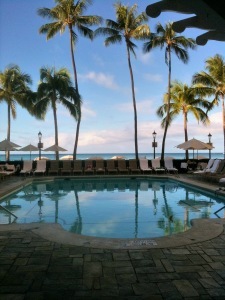 Born in England, Peacock and his brother, Corbet, settled on the island of Oahu and in 1896 formed The Moana Hotel Company. Upon opening, there were only 75 rooms, with a different fine wood (oak, mahogany and maple) for each floor. In 1918 with the addition of two more floors, koa and cherry became the fourth and fifth fine woods added. 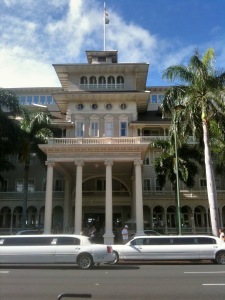 After the hotels grand opening on Waikiki Beach (Waikiki meaning “sprouting waters”) and a few years of success, Peacock sold it to wealthy businessman Alexander Young in 1905. After the death of Young, his estate managed the business until the Matson Navigation Company purchased it in 1932, making the hotel one of two (The Royal Hawaiian Hotel) owned by the Matson company. Arthur Benaglia, general manager of the Royal Hawaiian for many years, also managed The Moana from 1941-1945. 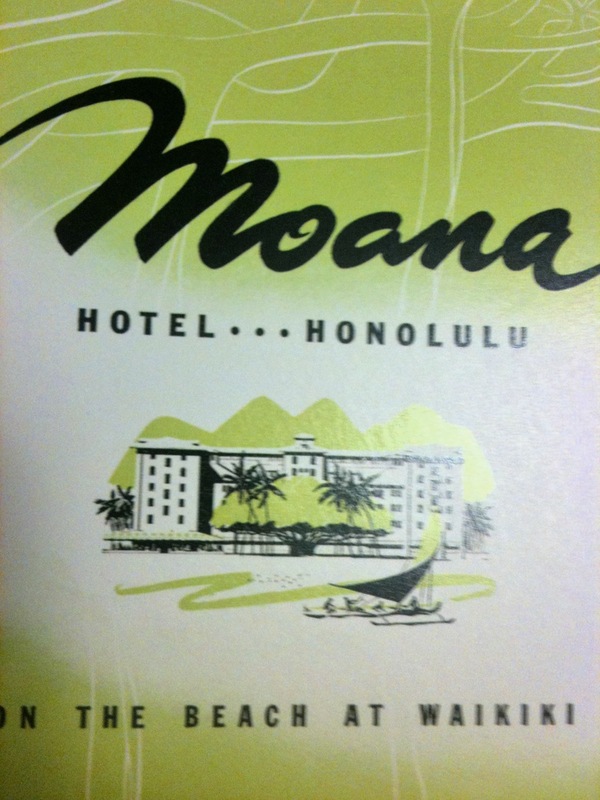 In 1959 the hotel was sold to the Sheraton chain, the same year Hawaii became our 50th State. This was also the year jet airline service appeared on the island. The hotel once again changed hands in 1974. It was sold to Japanese Industrialist, Kenji Osano (Kyo-Ya Company, Ltd.). 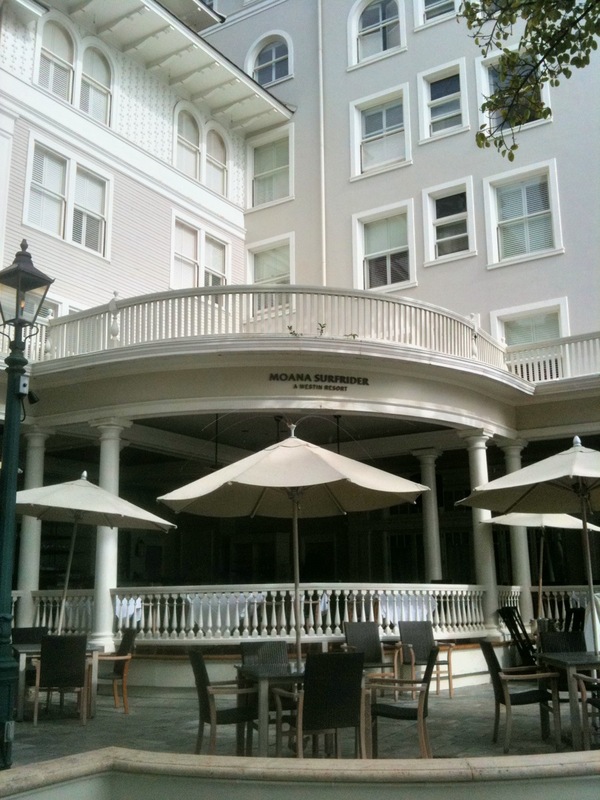 With the building of the Surfrider and other additions, the hotel ultimately became one complete complex and was named the Moana Surfrider. It is now a Westin property and after many renovations, is restored to its present day light and airy design. A March 1989 renovation resulted in a return to its 1918 off-white and grey grandeur. Thanks to the Kyo-Ya Company, Ltd, its owners and their desire to preserve the beauty of the building, it took a well deserved place in the National Register of Historic Places.